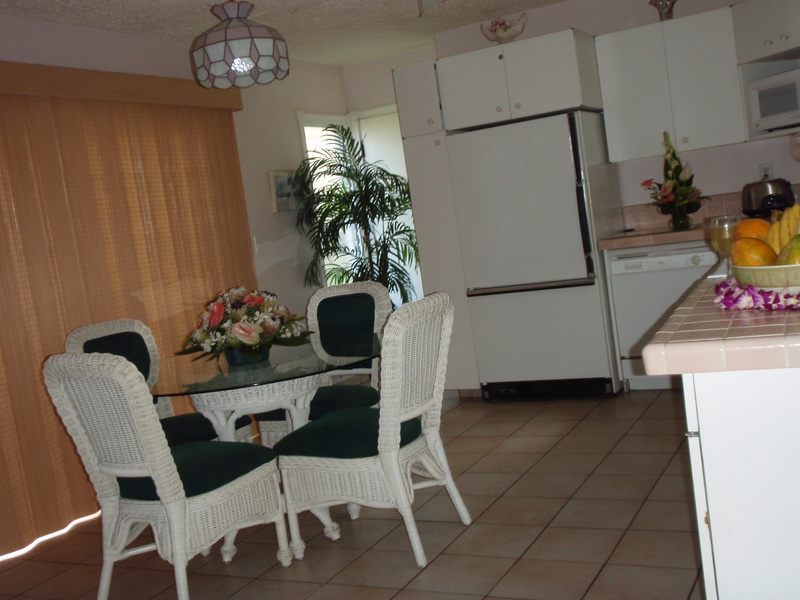 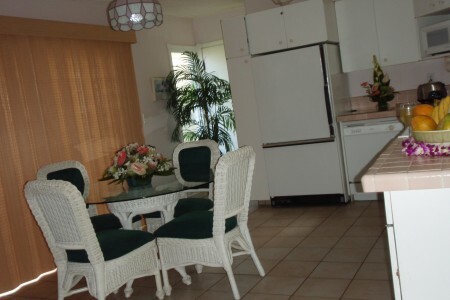 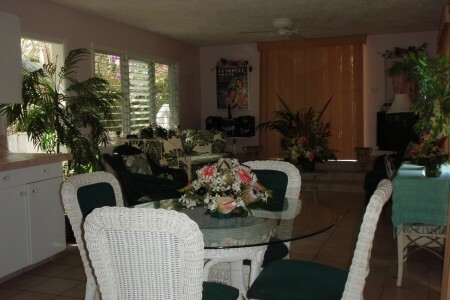 Rent the whole house or inquire about individual suites. 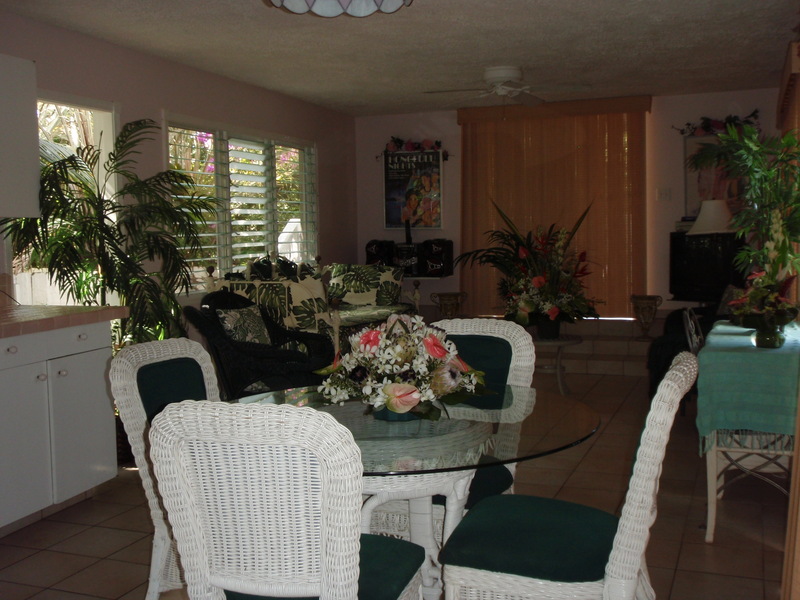 COMPLIMENTARY WIFI AVAILABLE THROUGHOUT THE HOME! 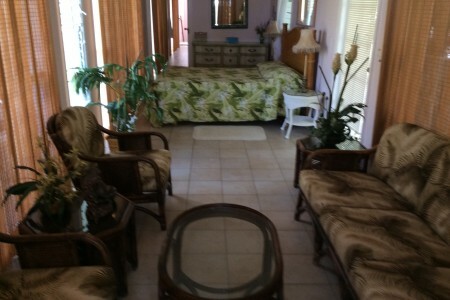 One bedroom with queen size bed and full ensuite bathroom with shower. 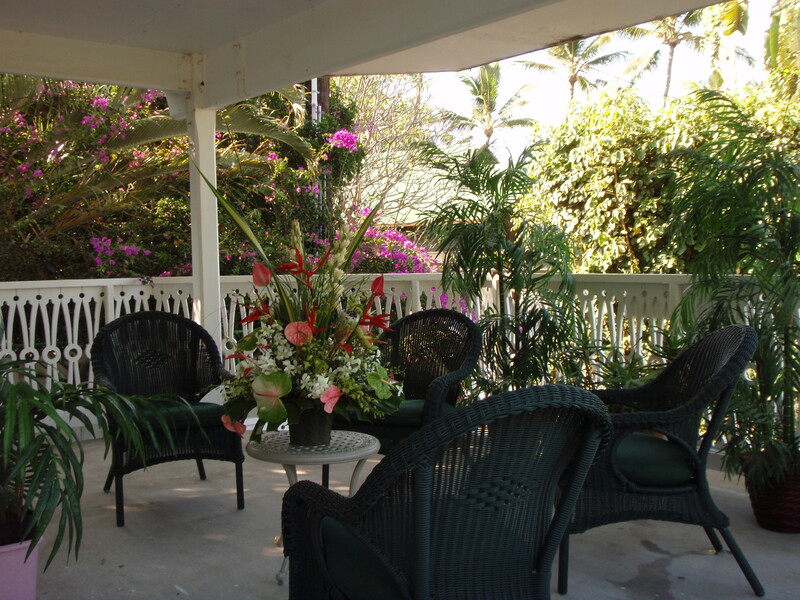 The Maile Kai has a combination living/ dining/kitchen area with a single puneé (daybed) and chairs for additional seating. 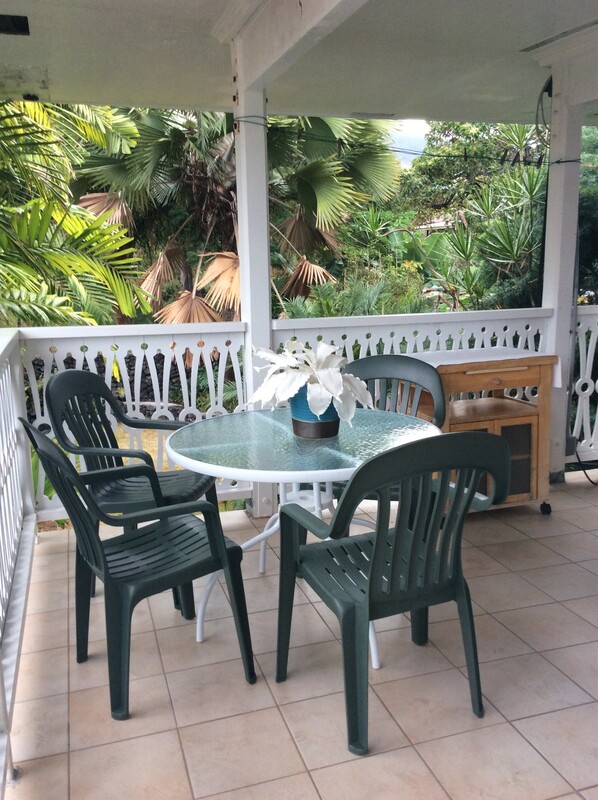 The lower suite also has a front balcony and access to the back (shared) bath that is equipped with a washer and dryer, toilet, basin and a second double shower (perfect to rinse off in after a swim in the bay). 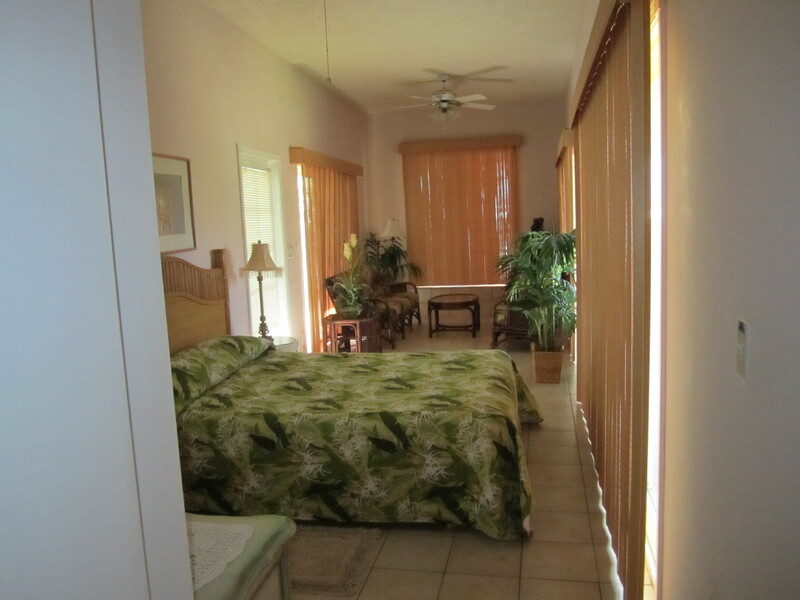 Our upper suite has a large bedroom/living room that has a queen-sized bed and sitting area. 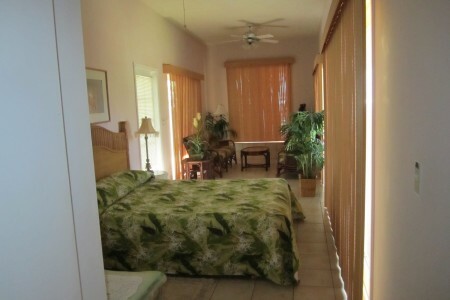 It also has a private, separate sleeping alcove, with a double bed. 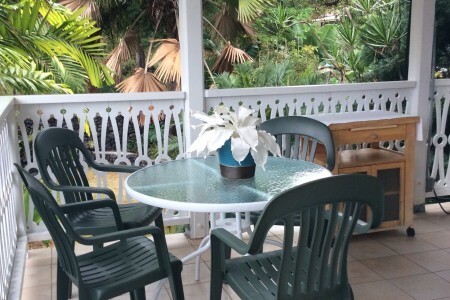 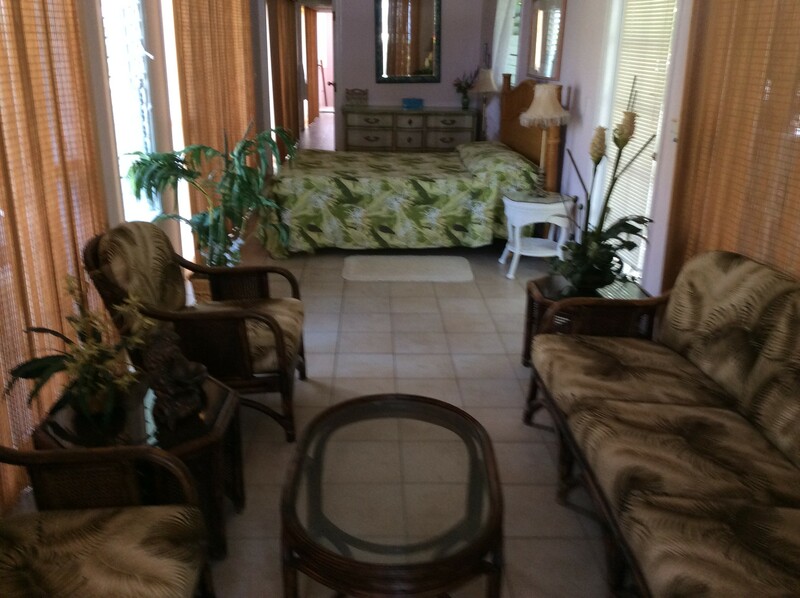 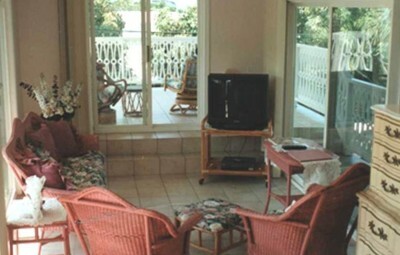 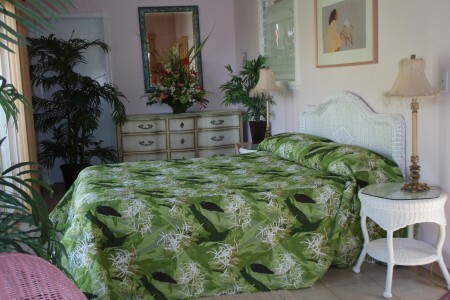 The Loke Lanai has a full bathroom with shower and a charming “open air” full kitchen on the covered outside lanai. 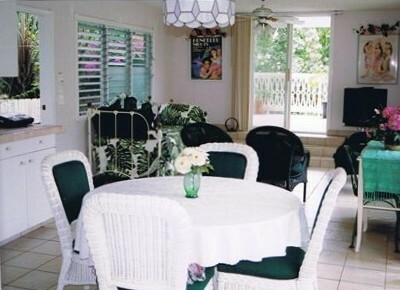 Loke Lanai also features a large lanai facing the bay as well as a full balcony that runs around the whole floor, maximizing indoor and outdoor living to the utmost. 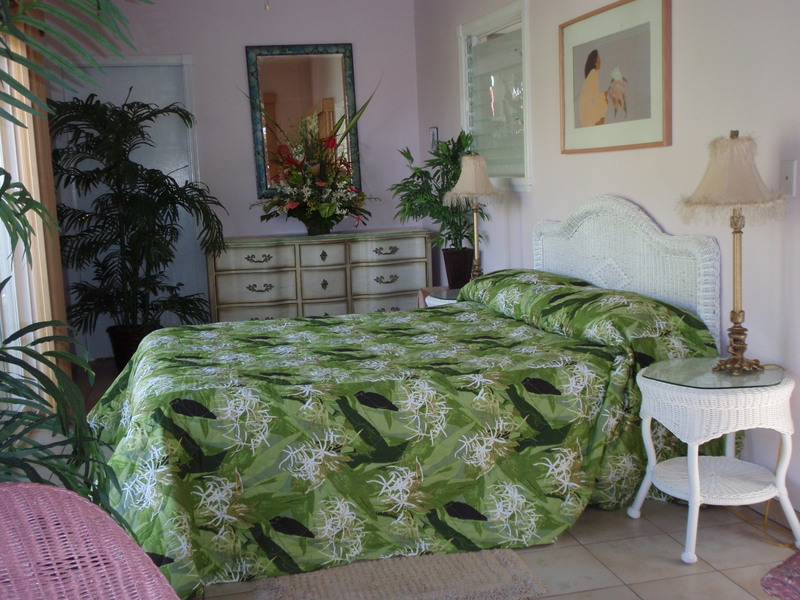 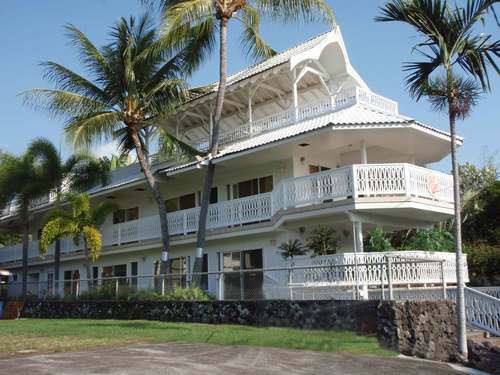 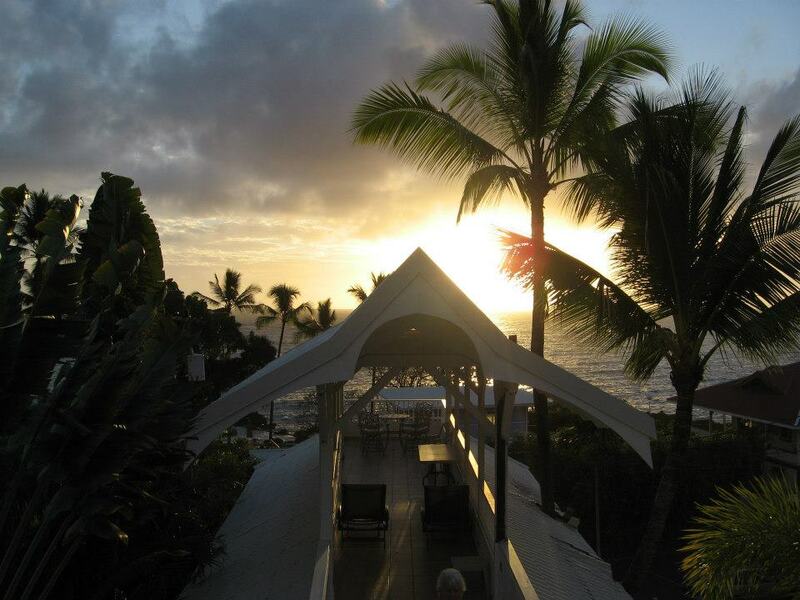 This suite also has access to the back shared bathroom, equipped with a washer and dryer, toilet, basin, and a second double shower that is perfect to rinse off in after a swim in the bay as well as the rooftop lanais. 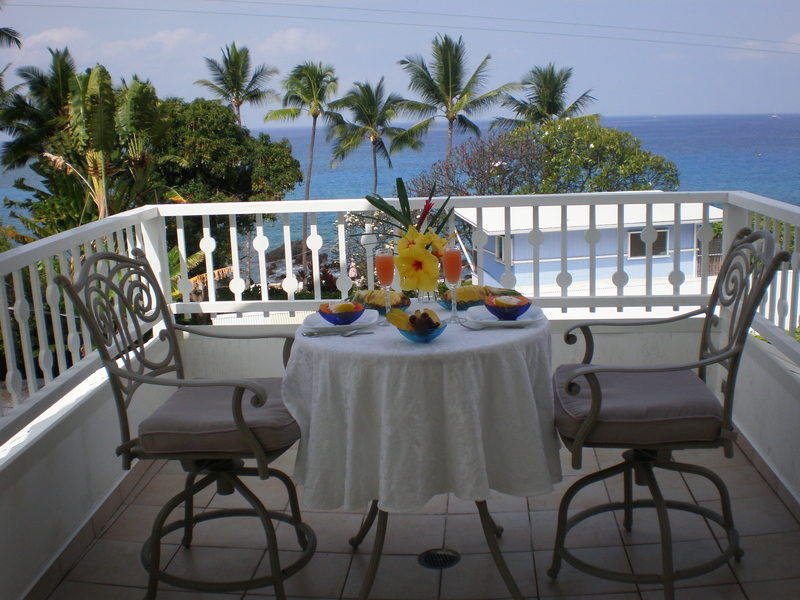 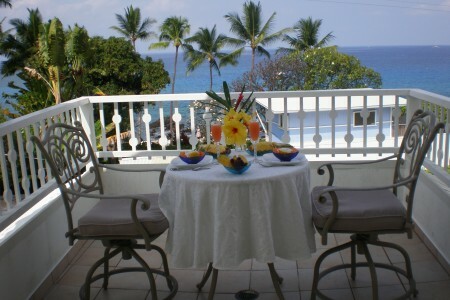 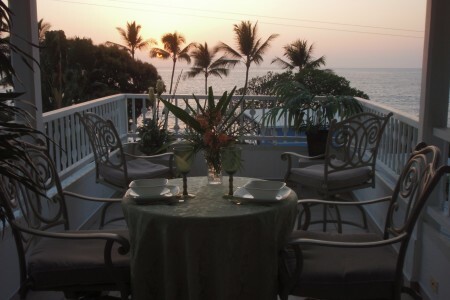 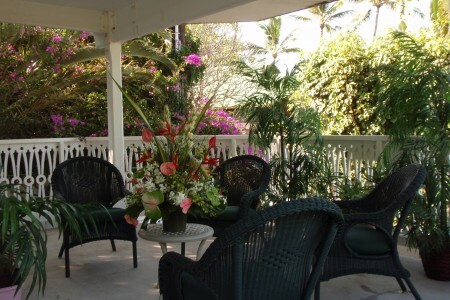 Both suites share the rooftop lanai (balcony) and in back, a charming, private backyard garden which includes use of a Webber barbecue grill and lounge chairs. 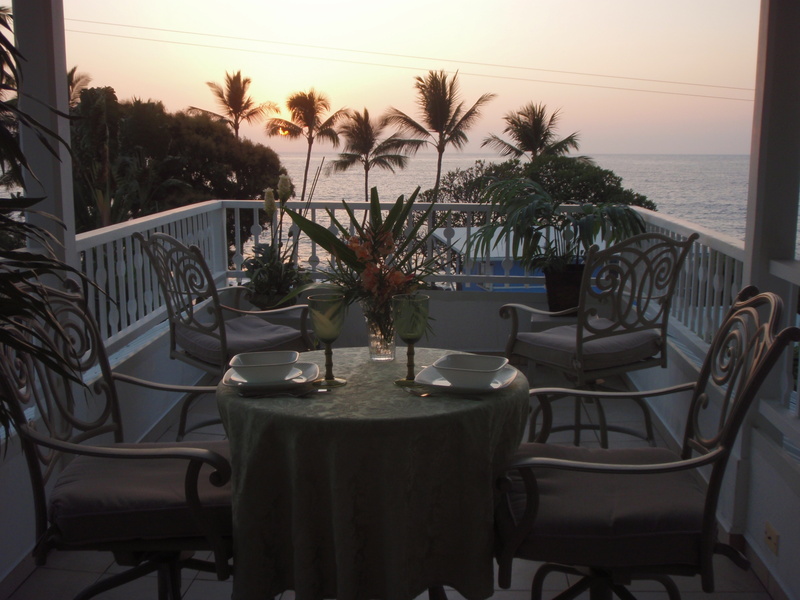 The top lanai offers a spectacular 360° panoramic view of the entire bay and surrounding landscapes, close enough to see whales and dolphins leaping and playing in the waters, kayakers, snorkelers and scuba divers swimming, as well as boats visiting the bay. 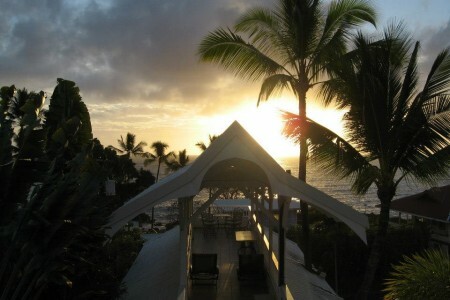 It extends the full length of the structure and is partially roofed for shade and rain protection, when needed.